These are humble words coming from one of the greatest flutists of the 20th Century, Mr. Frederick H. Baker. To hear someone say “there’s always more”, even after 94 years of age, is quite special. Mr. Baker’s philosophy had a great impact on me when he spoke with me recently over the phone. Calling from his home in Arizona, he was kind enough to answer my questions about his illustrious flute, #900. I was pleasantly surprised to hear him talk about how the flute impacted his life, rather than about its gorgeous features. He told me how incredibly grateful, even how indebted, he was to his instrument for showing him things about himself that he didn’t know existed. 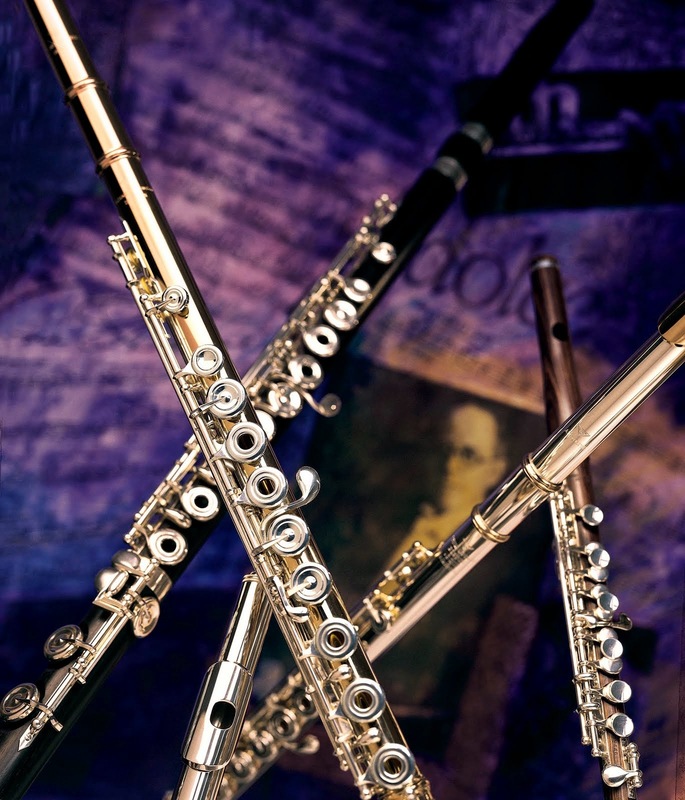 Mr. Baker’s words are a pleasant reminder to us all that playing the flute can be more than just the right notes, the loudest notes, or the fastest notes. Performance can be deeply self-revealing. It can push our boundaries, heal our wounds, and connect ourselves with those around us. 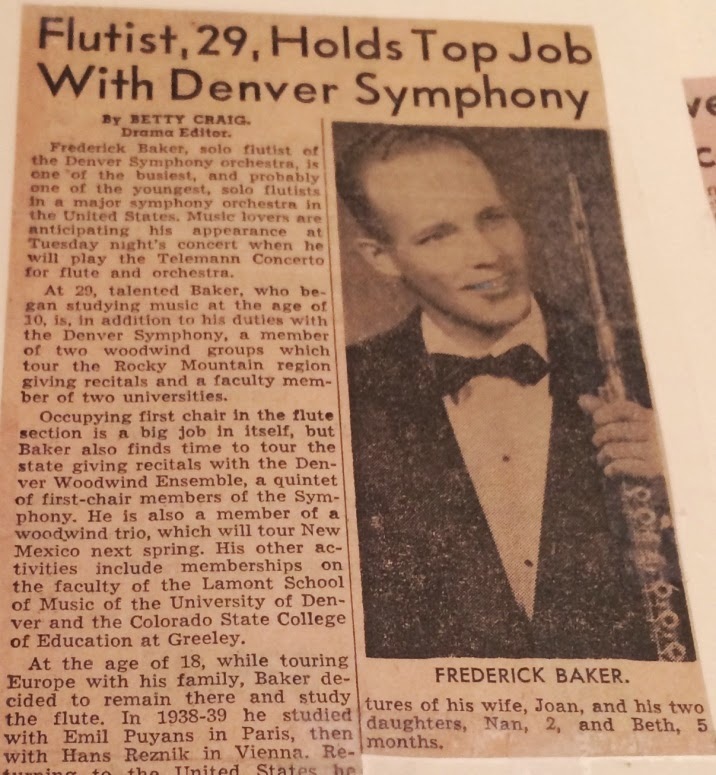 Frederick “Fritz” Baker served as principal flute of the Denver and San Diego Symphonies for many years. Never one to personally boast, many of his esteemed colleagues and conductors would happily do so for him. During a rehearsal of the San Diego Symphony Orchestra, renowned American conductor Robert Shaw stopped the players and said, “I have been wanting to say this for a long time: I have never heard a more beautiful tone on the flute. You should all be proud to have Baker playing with you. For my money he could play in any orchestra in this country”. Mr. Baker was also an inspiring teacher. I sometimes was overwhelmed with the beauty of the tones when he played his part in a duet and stopped to listen.